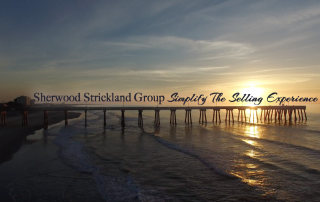 Sherwood Strickland Group is an experienced team of Wilmington NC real estate professionals ready to offer you “expert representation” for your real estate needs. 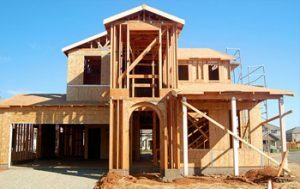 Maybe you have been considering relocating to the beautiful Wilmington area from somewhere or you’re curious about what the coastal lifestyle has to offer. 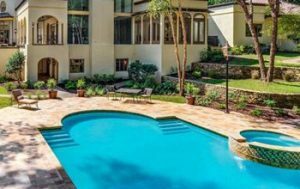 Your lifestyle is our focus and our ability to match your specific needs to the perfect neighborhood for you is only surpassed by our strong negotiating skills. 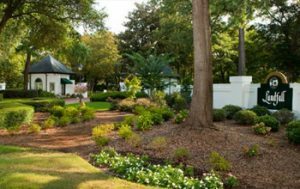 Imagine yourself living in Wilmington NC-the most beautiful garden spot in the south. 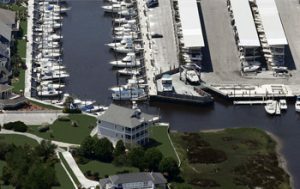 Wilmington has a warm semi-tropical climate along with the unique geographical feature of being surrounded on one side by the warm Gulf-Stream of the Atlantic Ocean and on the other by the Cape Fear River. Wilmington, with its southern charm, has been known as the cultural center of Southeastern North Carolina since its early beginnings as a center of shipping and trade. Walk along the cobbled riverfront streets of the “Port City” and you will feel yourself surrounded by history as you walk by the grandly restored Victorian homes. 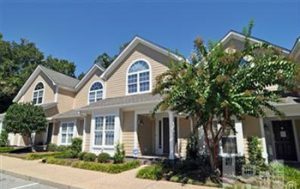 Our area is filled with great communities and things to do, the Wilmington NC Real Estate market offers hundreds of great subdivisions and lifestyle options. Historic Downtown Wilmington’s eclectic eateries, art galleries and shops are a great choice for someone looking to live near the hustle and bustle of a small city without all the smog. 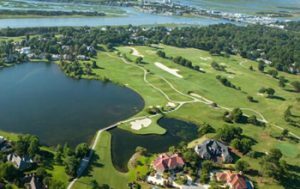 For the water lover or golf lover, areas like Landfall, Brunswick Forest, Porter’s Neck and more provide ICWW front homes with boatslips and golfing right out your back door. 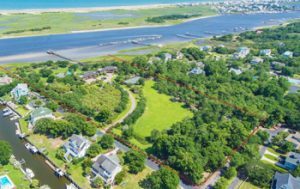 For the beach lover,Wrightsville Beach, Carolina Beach and Kure Beach provide both ocean front and ocean view homes. 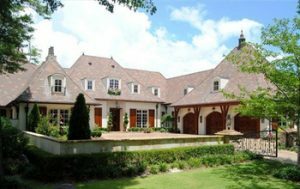 View the most recent listings categorized by city to the left, use the menu bar up top to search by city, school or community or try our Advanced Real Estate Search page to find every property for sale in Wilmington, NC. 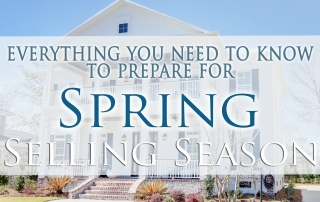 If finding the perfect school for your children is motivating your real estate search then you should start from our page that allows you to research all area schools with ratings and additional information at Wilmington NC Real Estate search by schools. 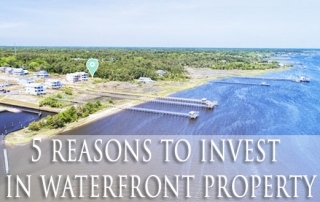 Wilmington is a great place to live, work and play. Home to international corporations and the film industry. Major employers include Corning, GE, Progress Energy (now merged with Duke Energy), PPD and Dupont. Several major films (recently Ironman) and also TV series (formerly Revolution) have been filmed in the surrounding picturesque area of Wilmington NC. 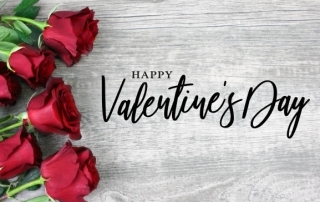 5 Reasons We LOVE Our Job, as Coastal North Carolina Realtors. 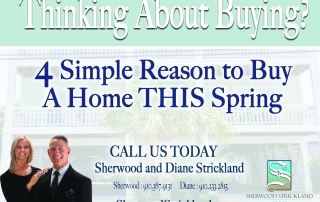 My new employer recommended Sherwood and Diane as Wilmington NC realtors. This was the greatest recommendation. They have great area knowledge and connections. Every part of the process seemed to go flawlessly. 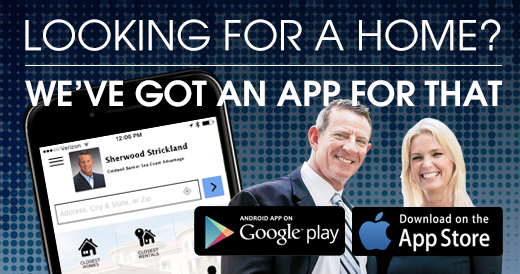 Sherwood Strickland Group is a professional group of realtors with Coldwell Banker Sea Coast Advantage of Wilmington, NC. 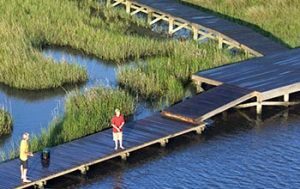 Our group of real estate experts live, work and play in the beautiful coastal New Hanover, Brunswick and Pender Counties.